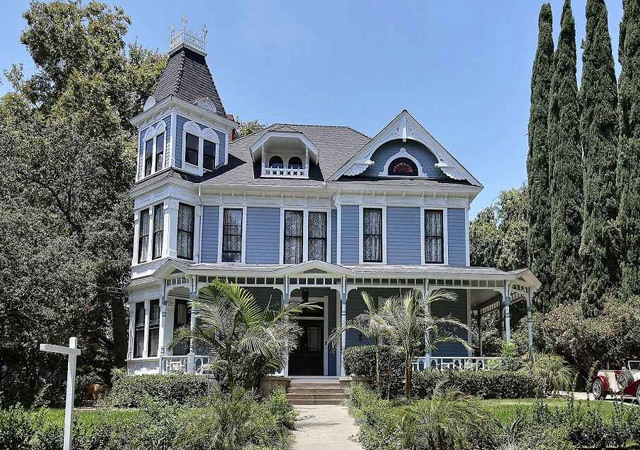 The creepy 1887 Queen Anne Victorian that was featured in the 1986 horror movie House is for sale in Monrovia, CA. 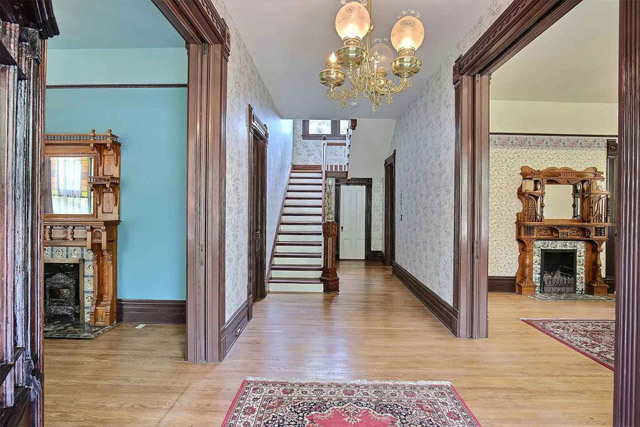 In my childhood, I was convinced every big, creepy old house was full of monsters. Every closet was a doorway to some new nightmare, black voids with skeletal, tentacled beasts lived behind bathroom mirrors. This was due, mostly, to the 1986 horror film House, starring William Katt, George Wendt and Richard Moll. This movie also inspired an early fear of taxidermy and garden tools, but that’s a story for another day. House is the story of Roger Cobb, a horror novelist struggling with the disappearance of his son and subsequent divorce from his wife. 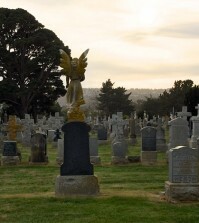 After his eccentric aunt commits suicide, Cobb moves into her house to focus on writing his next novel. 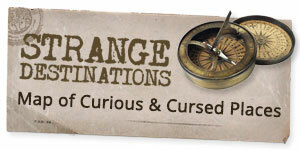 But his solitude is soon disrupted as he discovers what horrors have been waiting for him inside. 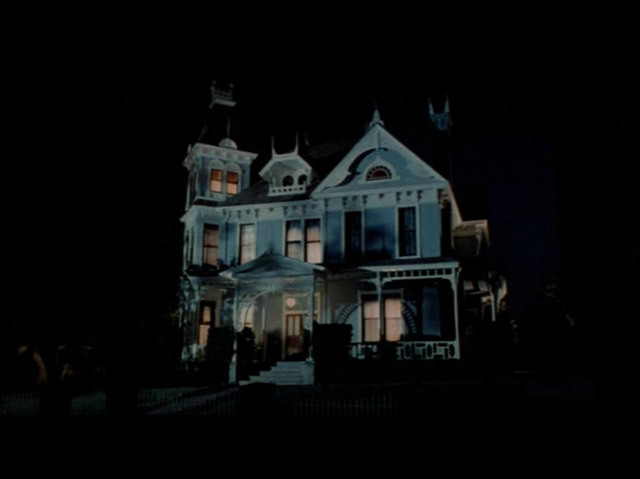 Several changes were made for the film to make the house appear more menacing. 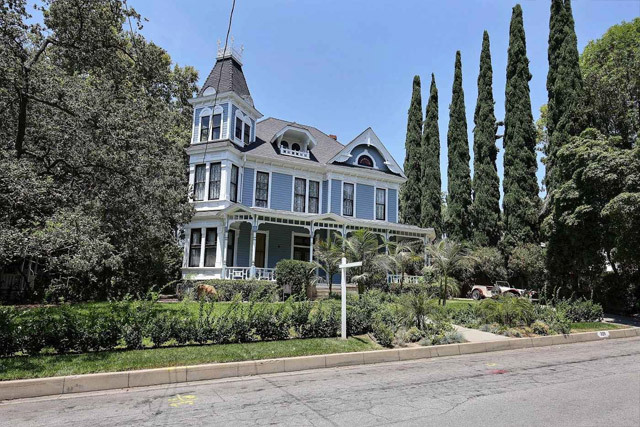 While the interiors of the house were filmed on a sound stage, a 1887 Queen Anne Vicorian located at 329 Melrose Ave, Monrovia, CA 91016, known as the Mills View mansion, was used for the exterior shots. 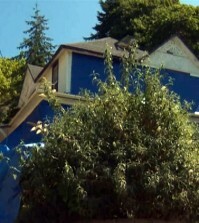 According to Old House Dreams it just happens to be for sale (well, pending sale) for a cool $1,275,000. 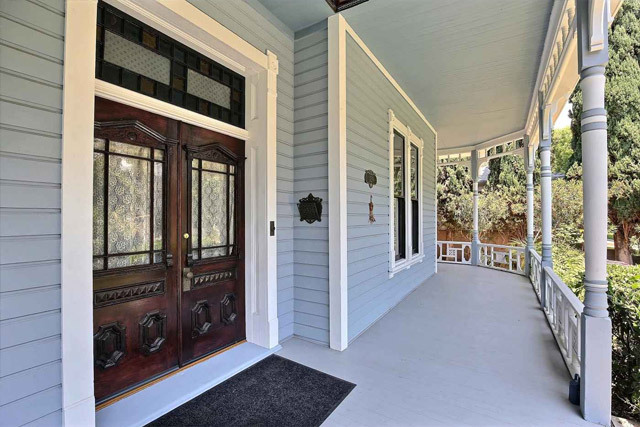 Stunning, inviting Eastlake Victorian home with wrap around porch. 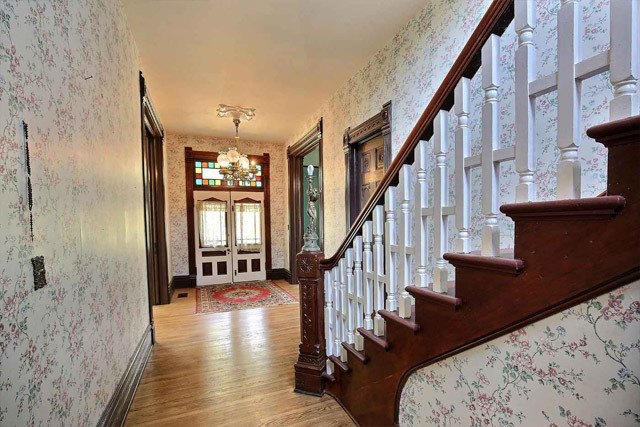 An opportunity to own one of Monrovia’s premier historical landmarks, Known as Mills View. Every beautiful detail has been meticulously restored to its original glory and just waiting for the next family to enjoy. 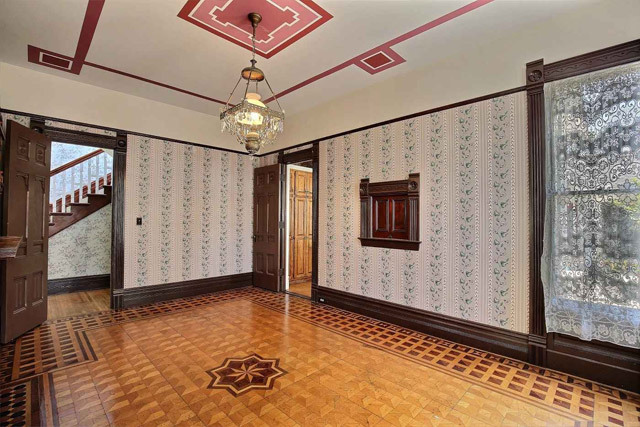 This home features very spacious rooms with 12′ ceilings throughout formal dining, family room, and parlor. One bedroom and 2 Baths downstairs. 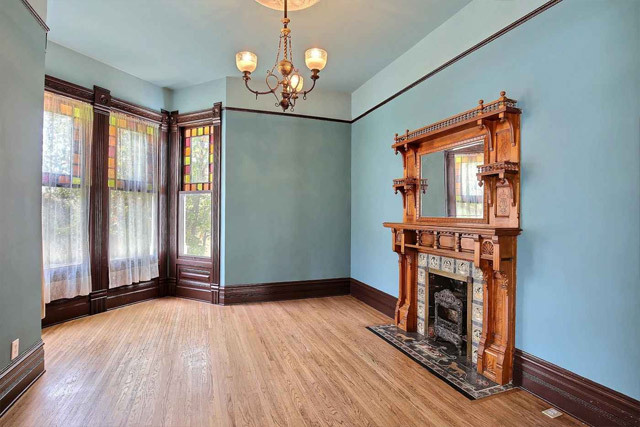 Gorgeous hardwood floors, crown molding and fresh paint inside and out! 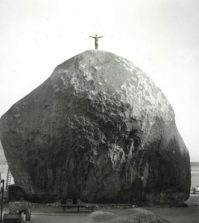 Designed and built in 1890 for William Monroe, founder of Monrovia. Large park like back yard, room for a pool! 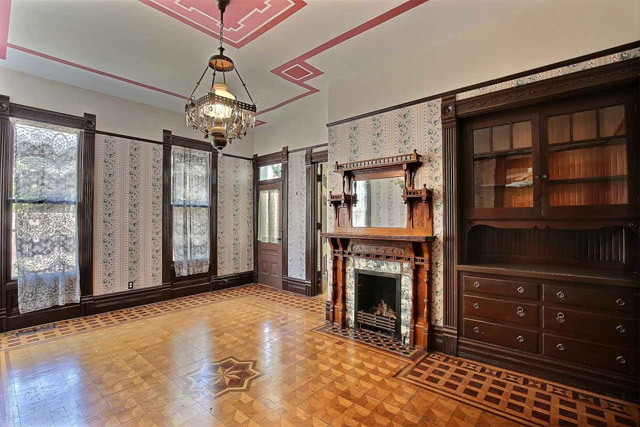 Come make this Queen Anne Victorian showcase home your very own! It doesn’t say anything about a war demon in the closet, but I’m sure that’s just an added perk. Anyone have a million bucks I could barrow? 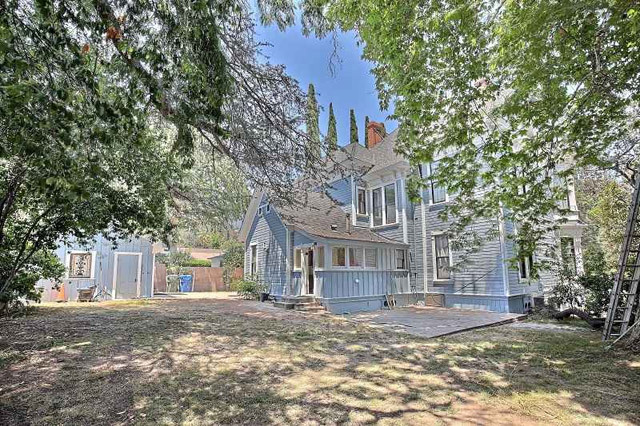 According to a comment in this behind the scenes blog from creature effects crewmember Shannon Shea, the current owner bought the place because their love of the House film, as well. 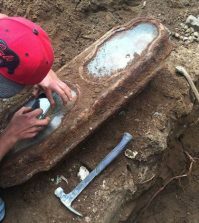 Part 2 of this blog is right here.